"That was kind of a surprise. We kind of got used to a runaway system," said Geological Survey of Denmark and Greenland ice and climate scientist Jason Box. "The good news is that it's a reminder that it's not necessarily going that fast. But it is going." 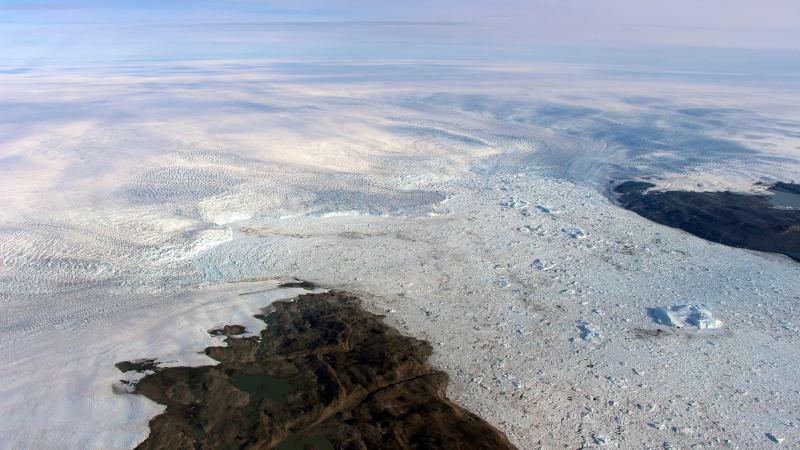 Box, who wasn't part of the study, said Jakobshavn is "arguably the most important Greenland glacier because it discharges the most ice in the northern hemisphere. For all of Greenland, it is king." While this is "good news" on a temporary basis, this is bad news on the long term because it tells scientists that ocean temperature is a bigger player in glacier retreats and advances than previously thought, said NASA climate scientist Josh Willis, a study co-author. Over the decades the water has been and will be warming from man-made climate change, he said, noting that about 90 percent of the heat trapped by greenhouse gases goes into the oceans. "In the long run we'll probably have to raise our predictions of sea level rise again," Willis said. University of Washington ice scientist Ian Joughin, who wasn't part of the study and predicted such a change seven years ago, said it would be a "grave mistake" to interpret the latest data as contradicting climate change science. What's happening, Joughin said, is "to a large extent, a temporary blip. Downturns do occur in the stock market, but overall the long term trajectory is up. This is really the same thing."